Today Bridgeable announced that Susan Bartlett will be assuming the role of CEO in a transition that begins January 1, 2019. 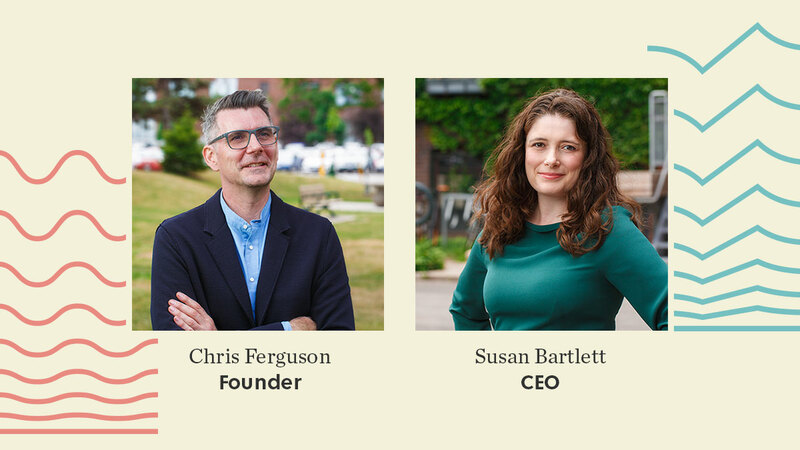 Chris Ferguson will be handing over his day-to-day leadership responsibilities to Susan over the course of the first three months of 2019. Chris will stay on as Founder of Bridgeable and will continue to advise executives and teams and drive knowledge capital at the organization—identifying new thinking, methods, and sources of inspiration to foster our ability to deliver exceptional work and attract world-class talent. This is an exciting evolution in our development. Susan has spent her career in the consulting world, and she’s been a valuable member of the senior executive team at Bridgeable since 2011. She is uniquely qualified to step into this position, having played a major role in shaping the culture of Bridgeable and establishing the standard of excellence that sets the company apart while also overseeing major client initiatives, such as the award-winning UPL transformation. Her impeccable academic credentials consist of four university degrees, including one from Oxford, where she studied as a Rhodes Scholar. 2018 has been a transformative year for Bridgeable. We’ve created major impact with our client partners and in the broader design community and have made significant strides in developing and disseminating knowledge capital, with a primary focus on internal learning and development. The team has expanded in order to better serve our growing and diversifying client base, and we look forward to continuing this trajectory as a leading provider of design services. This transition allows Chris to devote more time to the interests that he has cultivated as Bridgeable has established itself as a globally recognized design consultancy. These interests include finding new challenges for Bridgeable to tackle, playing a leadership role in Service Design Canada (where he is co-founder), teaching design at the University of Toronto, and lecturing about service design worldwide.